Continental Slate is a recreation of natural slate. Its inspired tones have a high degree of shade variation, so they complement any decor. The Sonoma Beige 12 in. x 12 in. Ceramic Floor and Wall Tile features a matte finish to help add style to your space. Suitable for indoor installation, this product offers versatile options for kitchen and bathroom walls, as well as elegant floors for the entire home. This tile is a beautiful addition to a variety of design styles. Ceramic vent cover made to match Lagos Beige tile. 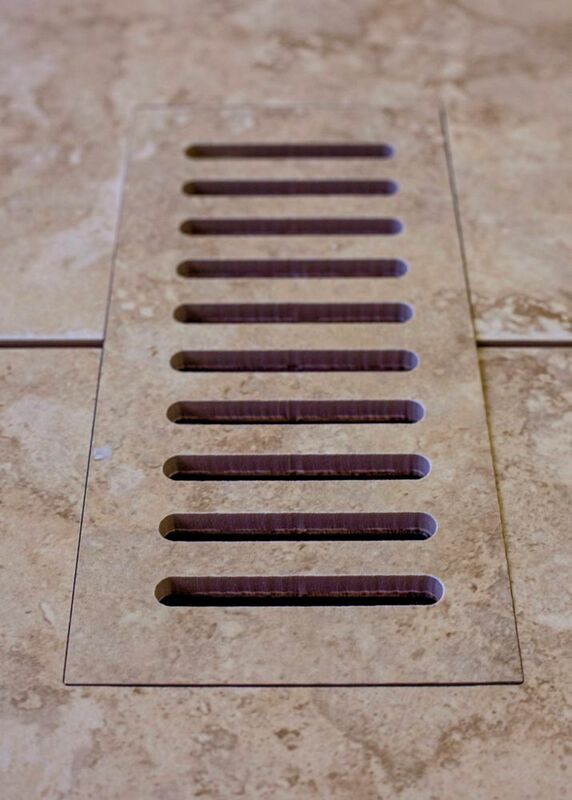 Size - 4-inch x 11-inch Finally a ceramic vent cover that matches your porcelain tile floor perfectly. Our Flush Mounted floor vents add style to any tiling project. Each vent is made from the floor tile you've selected and designed to lay flush with your floor. Beautiful, durable and easy to install all of our Flush Mounted floor vents come complete with a sturdy steel back support and a separate diffuser (dampener) levelling plate which allows you to control the air that enters into a room. Adding porcelain or ceramic Flush Mounted vents to your new floor will give your room an elegant final touch.